ASAP Pest Control Gwinnett, Hall and Jackson County: We are roach control, removal & treatment experts! 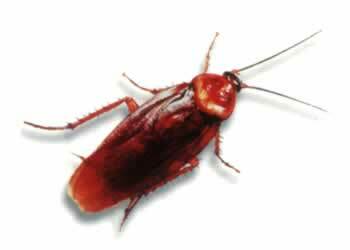 Giving Gainesville, Gwinnett and Athens, GA dependable roach removal services - Call ASAP Pest Control! The German Cockroach is the most common species found in houses, apartments, restaurants & hotels. Adults are pale to medium brown and range in length from ½ to 5/8 inch long. German roaches can be differentiated from other roaches because they have two dark stripes on the back of the heads (pronotum). These roaches can multiply very rapidly because a female can carry between 24-48 eggs in her egg capsule (Oötheca). An adult female can carry 4 – 8 egg capsules over her lifetime and most of the time she carries her egg capsule the entire time while the embryos develop. 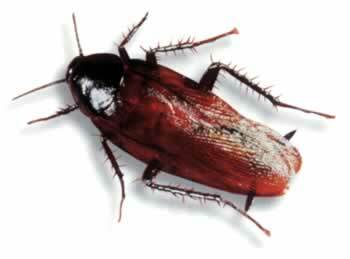 The German roach is a general feeder but prefers fermented foods and beverage residues. If water is present an adult can live for up to a month without food. They live in cracks & crevices and usually come out at night. If a home has them during the day then this suggest that the home has a heavy infestation. They are commonly carried from place to place by bagged potatoes & onions, beverage cartons, food carts, other food packages, handbags, and the folds of clothing. 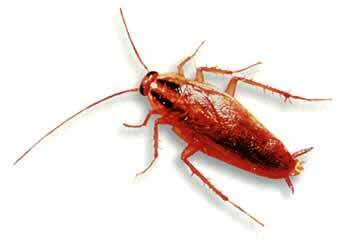 All roaches shed their exoskeleton and this outer covering becomes a toxin that many times becomes airborne and becomes an allergen. Recommended treatment: baits in the cracks & crevices and if the infestation is heavy using a vacuum to help reduce the population more rapidly. The American Cockraoch is also known as the waterbug or palmetto bug. Adults are reddish brown and are 1 ½ inches or longer. The adult female drops her capsule the day after it is formed. Over her lifetime of approximately one year she can have up to 90 egg capsules but unlike the German roach, her egg capsule only contains 14 – 16 eggs per capsule. They mainly live outdoors, preferring moist shady areas. They fly well and can enter the home through any window or door. They feed on a variety of foods but decaying organic matter is preferred. Recommended treatment: If inside, find infested area and treat with a dust or bait. Treat really well with a residual product around the exterior and around all entry points such doors, windows and penetrations to the outside of the home. Smokeybrown Cockroaches are closely related to the American roach but are depicted by their slightly smaller size around 1 inch and having a dark brown to a mahogany color. The adult female will produce about 17 egg capsules with each carrying 24 eggs. Normally they feed on plant material but they can feed on almost anything that any roach species feeds on.